We are among the prominent organizations engaged in manufacturing and supplying a comprehensive range of Paper Chemicals. Prior to procuring as well as dispatching these lab chemicals to the market, we duly check their quality on several parameters. We offer these Paper Chemicals at industry-leading prices to our prestigious customers. We make this chemical available in both powder and liquid forms to cater to the variegated application requirements of clients. 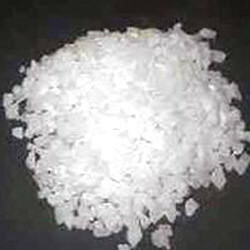 Clients can avail Poly Aluminum Chloride from us in packaging of optimum quality. We make this chemical available in both powder and liquid forms to cater to the variegated application requirements of clients. 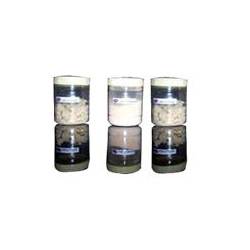 Extensively demanded for industrial coagulant and flocculant, our products have helped us become the preferred choice of clients. This chemical is also widely applied in water treatment. Ferric Alum offered by our organization is processed at the vendors' end using high grade compounds. Widely used in various industry applications, the pure alumina sulphate offered by us has helped us become the preferred choice of clients across the globe. 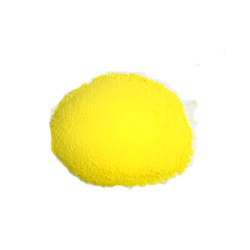 We make this chemical available in a wide variety of grades and specifications. Alumina (al2o3): 6. 5 to 17 % min. Uses : ETP plant, paper indutry etc. We are one of the most reputed firms involved in offering a comprehensive range Non Ferric Alum. These chemicals are processed by the team of experienced chemists, who have in-depth knowledge about the chemicals. These chemicals are used in water purification process. They are soluble in water have an astringent acid, sweetish taste, react acid to litmus. Paper Industry It helps in sizing of paper at neutral and alkaline pH,thus improving paper quality and sizing efficiency.